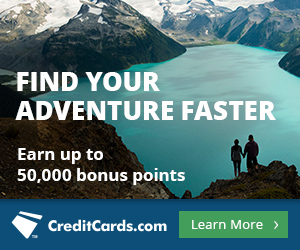 The Hilton HHonors Signature Card’s (the one that earns points) sign up bonus has expired. Click here for the top current sign up bonuses. Until 5 PM ET (today, April 1), the Citi® Hilton HHonors™ Visa Signature® Card offers 75,000 bonus HHonors points after spending $2,000 on the card in the first three months. This is enough points for 15-18 free nights at Hilton Category 1 hotels. Seventy-five thousand points won’t get you even one night at a top tier Hilton, but it will get you up to 15 nights at the bottom categories, which have some gems. Super reader Jeremy has created the most valuable spreadsheet imaginable for the Hilton HHonors program that you can download for free here. There are category bonuses for Hilton stays, supermarkets, drugstores, and gas stations though none of them impresses me much. However it is ideal for folks who want a no-annual-fee card that rewards their loyalty to Hilton. Previous articleAlaska Massively Devalues Emirates Award Charts with No Notice. And Hugely Lies! Would you consider Hilton a pet friendly hotel in comparison to Marriott Starwood IHG or Hyatt. No opinion. Never traveled or looked into it. They had a big one of those a few years ago. I think for now their devaluations will be small by moving more hotels up a category than down a category. But that’s just my educated guess. Can these points be combined with the Amex HH offer? Yes, I will write about that soon. Does Hilton have black-out dates on using points or can you get any available room? (thinking category 1 and 2) Also do the points expire? Thanks! Hilton points do NOT have blackout dates. Whenever a standard room is for sale, you can book it with points. Points expire after 12 months of inactivity. But if you earn or redeem a single point, that 12 month clock restarts, so it’s trivially easy to make sure your points don’t expire. Does the $1000 spend at Hilton have to be charged on this credit card to get the 10,000 point bonus? It does not say this explicitly, but I have a feeling you do. But then again, they can track the $1,000 via Hilton directly to post the bonus. Having this card and charging as normal on Prestige for 4th night or Reserve for 10X while getting 10,000 annual bonus points will be nice. Yeah, I don’t see one way or the other, but I’d guess the $1,000 has to be on the card. Got denied for this card. Called reconsideration and got denied again. Something about too many applications. I got the Citi Prem. on Jan. 4, Citi Prestige on Feb. 9. Those are 37 days apart. 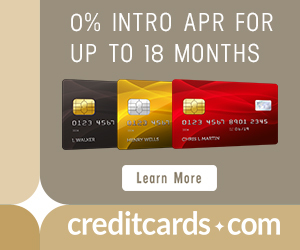 I would have thought that applying in late March for the Citi Hilton would be 85 days after 1st card, but turned down on day 50 after the 2nd card. My ficos are >800, so I am confused about what I should expect. Any suggestions? That is surprising. You can call back or write a letter. Called again today and while it was debatable whether or not I was inside or outside of the 1,9,66 rule they did go ahead and approve the card. The lady on this call today was 10x nicer than the lady the other day. Therefore multiple calls is a good thing. Thanks for the advice. I got instant approval. Didn’t even have to call. I’ve got several Hilton stays planned in the next few months so the bonus and Gold should be easily achieved. Wife calls to see why she was denied. Apparently, they count denied applications as part of the 1, 8, 66 day rules. She was approved early Feb. for Citi Thankyou, but otherwise no recent Citi cards. They said too many applications since then and was denied. She will try another call after school today. I just got approved for the Amex Hilton which is at 100K today.